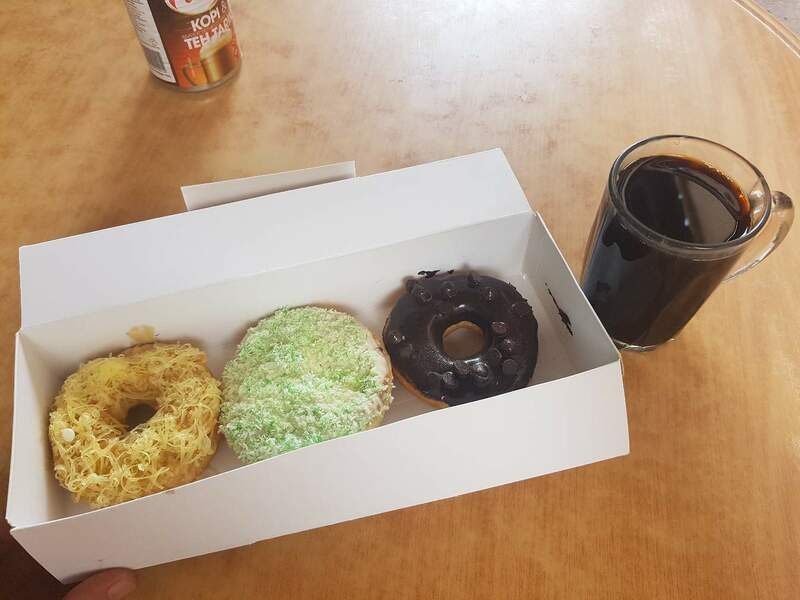 Hi guy, just to pamper my sweet tooth I got myself 3 Big Apple donut for afternoon tea and accompanied by 1 cup of long black (kopi-O). I regretted afterward because I need to ounish myself at least 10km this evening to burn the calories😂😂😂. 10Ks should do it! Nothing like a dirty pre-load. It's funny how sometimes you're in the middle of a run having eaten something like this and you can sort of feel yourself burning the 'bad calories'. Maybe it's just me. That's the thing... Regrets more than enjoyment. I have to keep myself in this mindset to avoid binging. So far so good.